Nuisance Wildlife Removal in Eustis has the wildlife control solutions you need. Our licensed and insured professionals quickly identify the nuisance animal in question and find out how it is getting into your property. 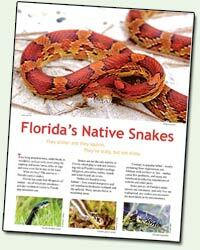 We know the nesting and feeding habits of every type of nuisance animal in Eustis, from tunneling moles to venomous snakes to disease-carrying pigeons. We know that armadillos like to burrow under concrete, damaging lanais and pool areas. We know that fruit trees attract rats and give squirrels easy access to your attic. We know that raccoons seen in the daytime may be rabid. All of our services are targeted to removing animals and protecting you and your property in Eustis. Nuisance Wildlife Removal in Eustis offers you prompt, courteous and professional service. When you call 866-263-WILD, we answer your questions and ask a few of our own. After consultation, we come to your residential or commercial property, inspect the premises and make specific recommendations for treating what we find. Don’t wait until a rat or squirrel chews through your phone or cable wiring. Don’t wait until bats find their way under your expensive roof tiles. Call us at the first sign of a wildlife problem, and we’ll prevent it from becoming a bigger one. Call us at 866-263-WILD for a price quote and more information in Eustis.